A few years ago, I was road-tripping with a vegan friend. We got hungry and wanted to stop for lunch, but the only restaurants within 10 miles were fast-food chains. Hungry and desperate, we stopped at McDonald’s, but with no vegan or even vegetarian options available, my friend hesitantly ordered a Big Mac with no burger because there were no other options for her. We laughed at how ludicrous it was, but it’s an issue vegans and vegetarians are all too familiar with. Plant-based alternatives are becoming more mainstream, but fast-food restaurants have been slow to catch on to the demand for vegetarian and vegan options. Well, McDonald’s is listening to your demands now, vegans. Back in October, they tested out a vegan burger in Finland. 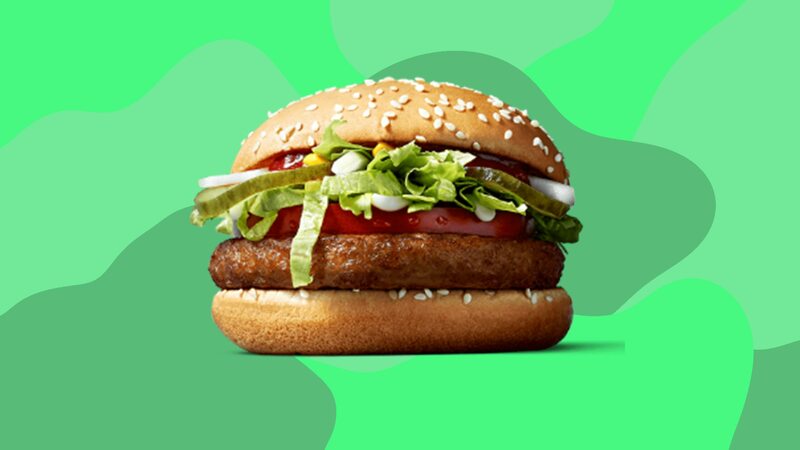 It was so well received McDonald’s has decided to make the McVegan burger a permanent menu item in Sweden and Finland. We know they’re vegan, but what are they made of exactly? We aren’t totally sure, but McDonald’s has said the burger is a soybean-based patty. The burgers will be available starting on Dec. 28. Let’s all keep our fingers crossed McDonald’s in the U.S. jumps onto this plant-based trend and starts offering them here too.